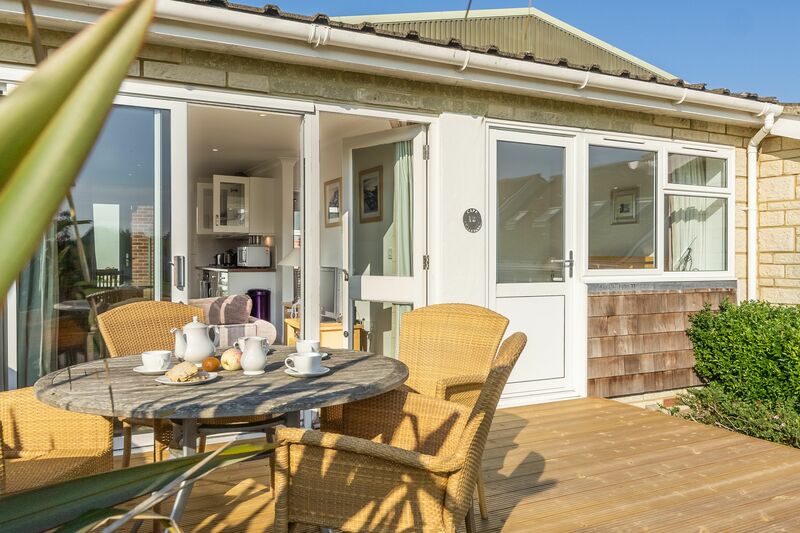 Dine al fresco on your own wooden decked patio. 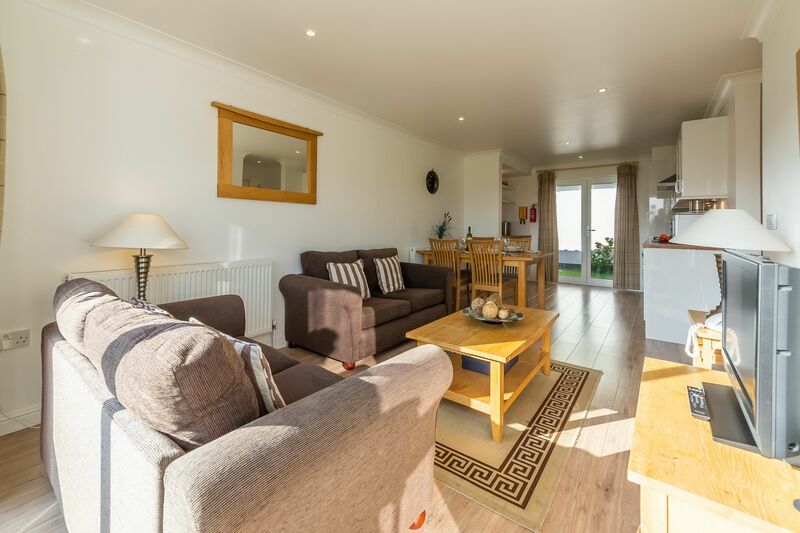 Spend a cosy evening indoors watching a great movie or DVD on the Freeview TV. 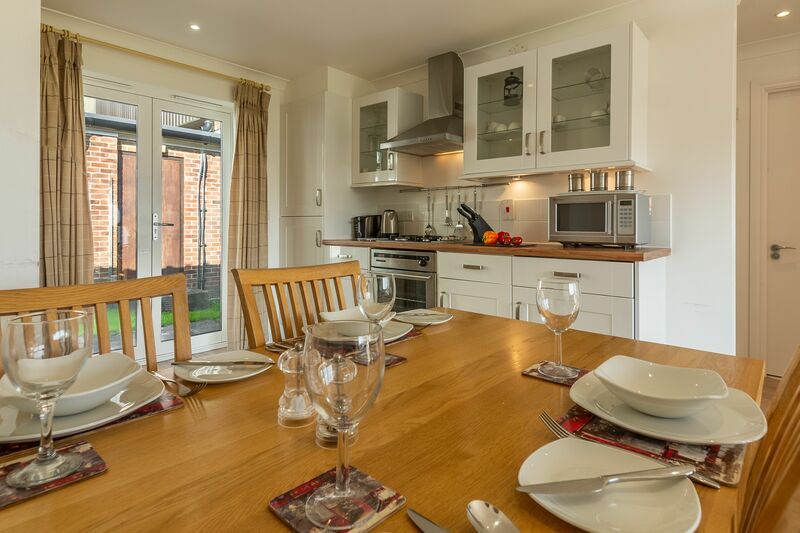 Or just relax and chat in the open plan living and dining area, enjoying some precious time together. 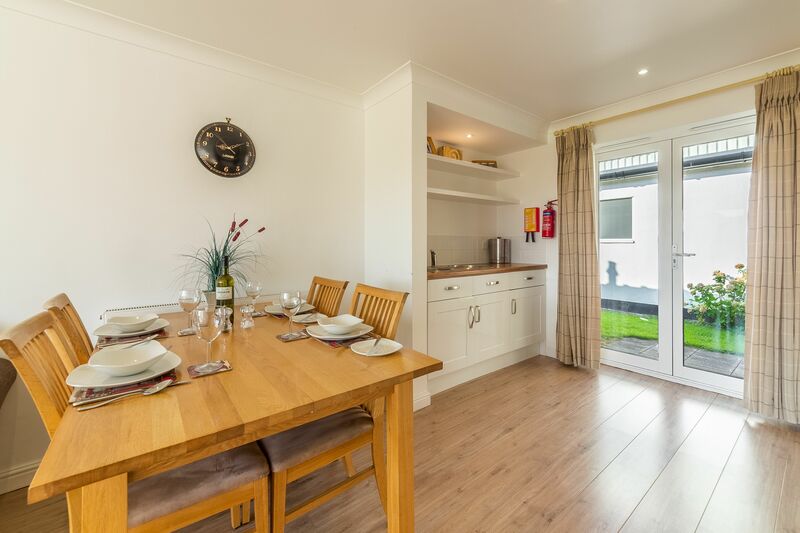 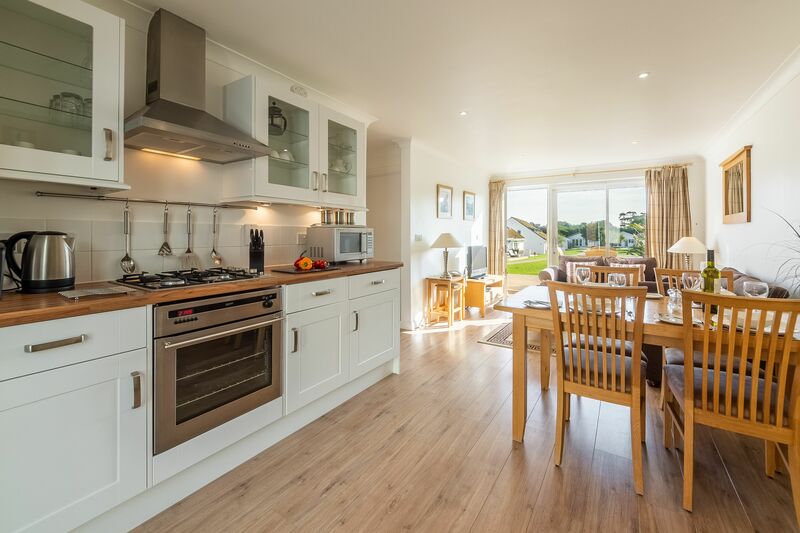 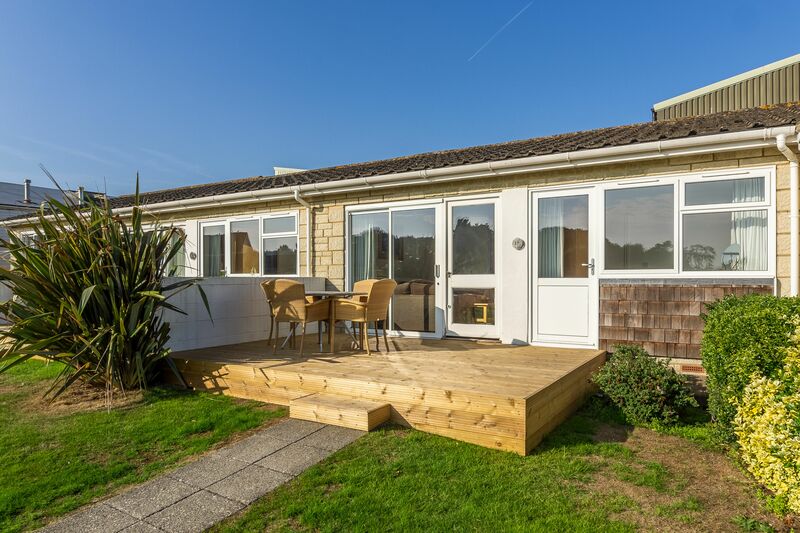 This single-storey cottage has all the facilities you need to make your stay on the Isle of Wight a memorable one. 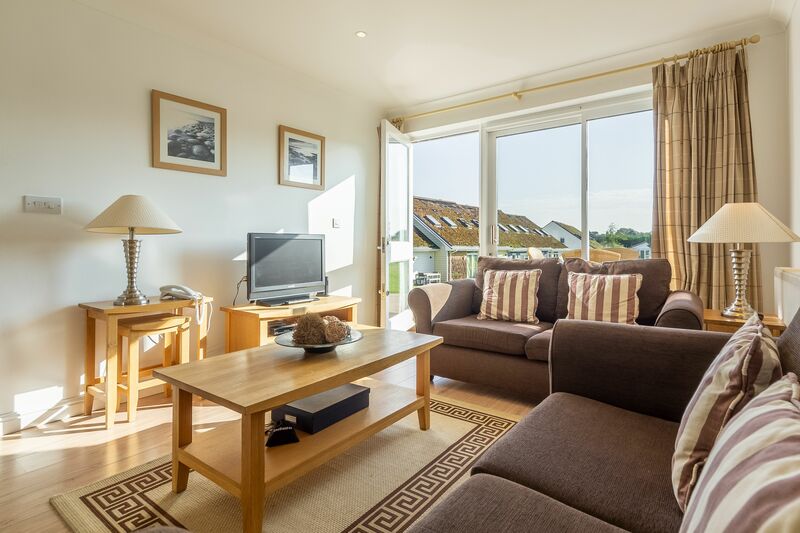 With plenty of windows looking out onto the communal lawned areas of West Bay, there’s always plenty of light flooding into the cottage. 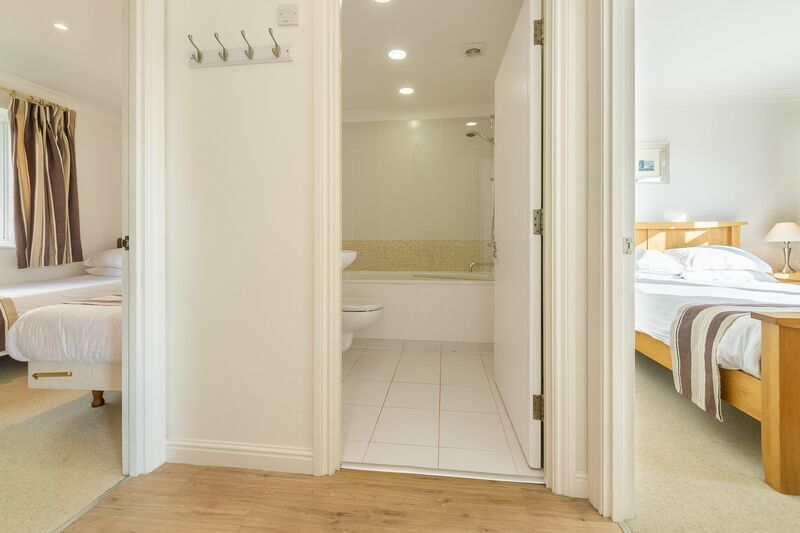 There are glazed doors to the front and rear as well, so it’s easy to come and go for the young ones and adults too. 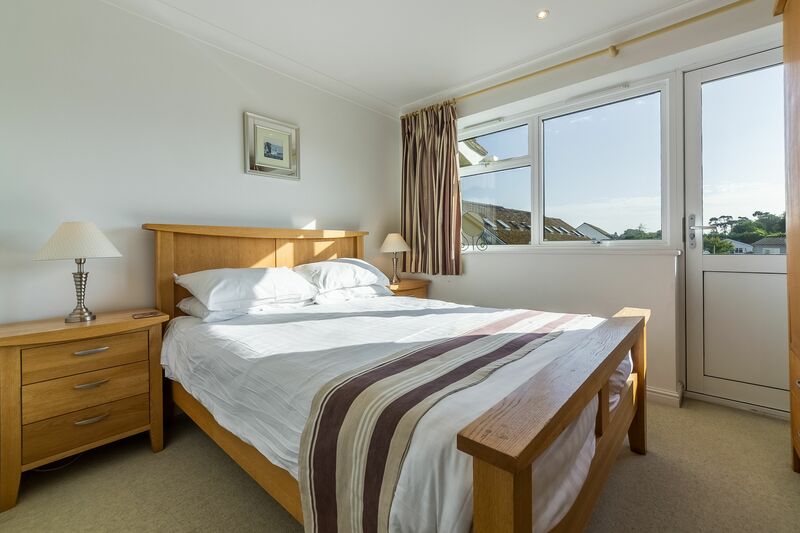 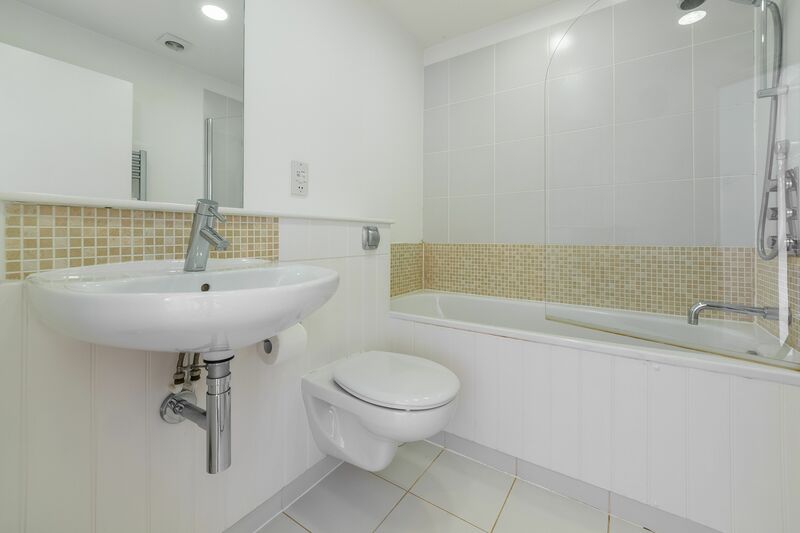 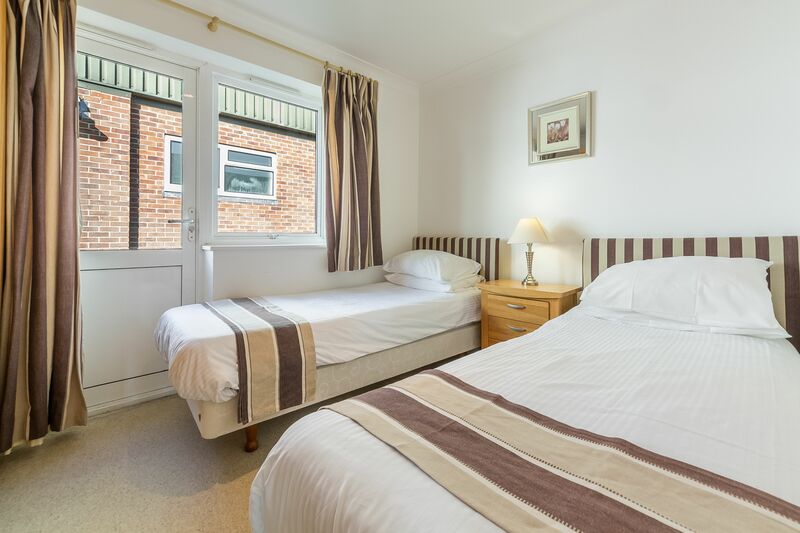 With one double bedroom and a twin bedroom as well as a family bathroom, you’ll have all the space and furnishings you need to enjoy your stay.